Happy New Year, Big Hungries! Like many of you, this is a week of penance for me, food-wise. I spent Monday of this week braising Swiss chard, making crockpot chili with lovely dried black beans, and cranking out healthy, whole-grain porridge to use as a base for breakfasts this week. None of those items is particularly scintillating, I realize. But there are lots of other exciting things to chat about this week, including the fact that I am currently in the process of moving Big Hungry Shelby – including archival posts – over to Blogger/Blogspot. NNYorker.com has been a wonderful home for BHS these past two years, but I’m looking to expand my capabilities for personalization, photos, and monetization, for which Blogspot seems to be the standard. 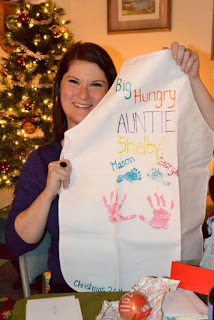 So pop on over to http://bighungryshelby.blogspot.com/ and bookmark it! I’ll still let you know about new posts via Facebook, Twitter and LinkedIn, but you should find better quality pictures going forward, plus an easier comments process and more variety, visually. I’m looking forward to playing with this new platform and really making it my own, and I hope we can continue to develop an active community of Big Hungries in this new corner of the Blogosphere. While we’re all busy with our cleanses, detoxes, low carb and no alcohol resolutions, I’d like to take this chance to talk about a newfound holiday obsession I’m late on the train for: Tom and Jerrys. 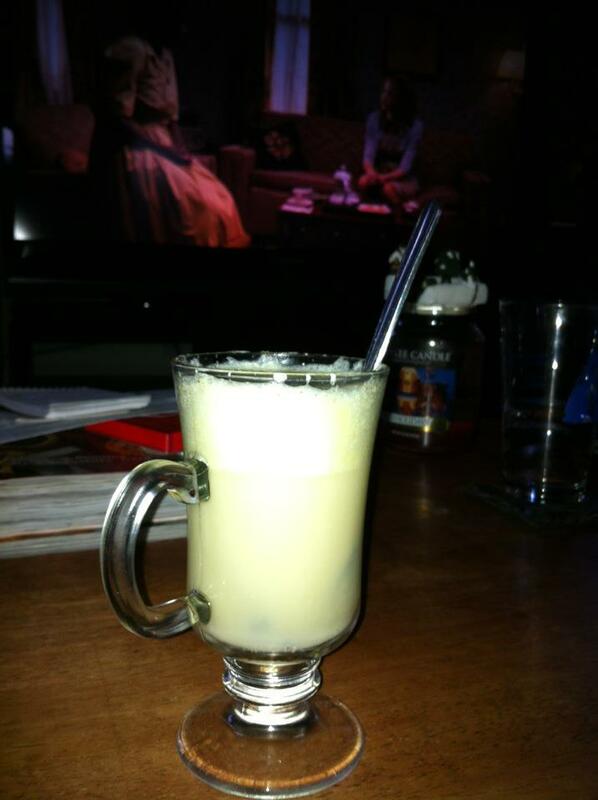 This NNY holiday staple is an eggnog-adjacent, creamy, hot toddy. It has long been served at The Crystal in Watertown, but my Dad and I went to The Paddock Club during Christmas week for my initiation. These concoctions are made from a sugar and egg-heavy batter poured over a shot of brandy and warmed up with boiling water. The result is frothy, sweet, potent and warming – absolutely delicious. We may be past the holiday season, but I implore you to Google a recipe and mix up a bunch this weekend. Melinda and I made a batch last week and enjoyed them while watching The Help on Blu-ray. A delightful combination! Seriously, how cool is that apron? I love it so much. 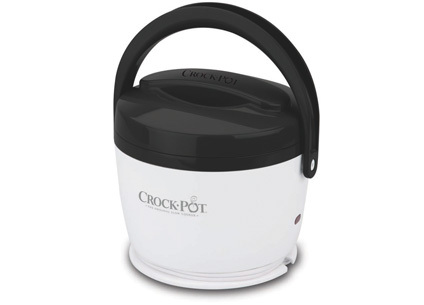 In other news, if you’re looking to get yourself a little post-Christmas gift, consider the lunch crock, from Crock-Pot. You take your lunch to work in it, plug it in in the morning, and your food is warm by noontime! I received mine right before Christmas, but used it for the first time this week, and my chili was piping hot at 11:30 yesterday! Moreover, you can leave the plastic warming crock at work, and just carry the insert to and from home – so convenient. I wholeheartedly endorse this product, and I’m sure Crock-pot Corporation has never heard of a Big Hungry anything. Now that a new year and a new blogging home are upon us, I’m excited to get back into the swing of things with restaurant reviews and travel recommendations. Over the break, my parents and I celebrated Mom’s retirement with dinner at Fireside in Black River. Oh boy, have things gone downhill there since I last reviewed it! Gone were the delightful popovers and strawberry butter and in their place were an undercooked baked potato alongside a tough, lukewarm, prime rib not even served with au jus. Neither of my parents enjoyed their meals, either, and despite our complaints, no money was taken off our bill. We had dessert there the month prior with family friends and I didn’t care for that, either, but wasn’t going to mention it here since we hadn’t sampled a full meal. Well, now I have, and I’m comfortable sharing that it’s off my list of good places in Watertown, at least until I hear they’ve staffed up with a real executive chef. So welcome back, my friends. Enjoy these first few days of the new year. Start an exercise regime; go on that austerity budget; enjoy using up your gift cards! 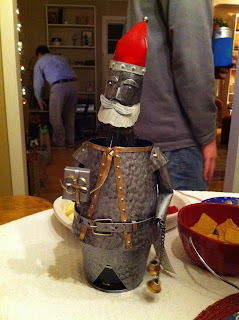 Pop on over to Blogspot and let me know what you think of the new digs, please. 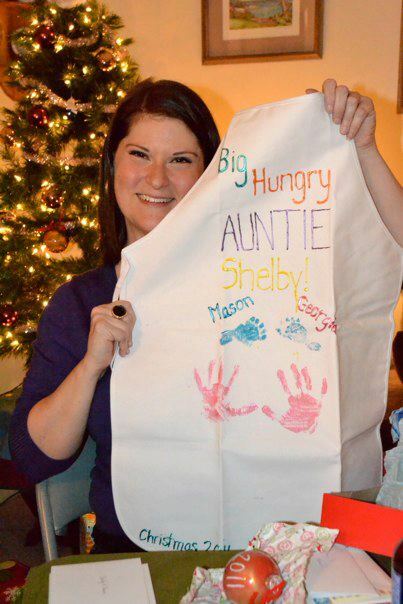 And don’t forget to follow me on Twitter (@BigHungryShelby) and join our Big Hungry Shelby group on Facebook! My personality is big, my hunger is bigger!